The esophagus is the muscular tube through which food passes from the mouth to the stomach. When you eat or drink, the muscles at the top of the esophagus (the upper esophageal sphincter) relax and allow food or liquid to be pushed through the rest of the esophagus until it meets the lower esophageal sphincter, which opens and contracts quickly to allow food to enter the stomach. When any part of the esophagus malfunctions abnormally, it can greatly inhibit a person's ability to eat and drink, and can cause moderate to severe discomfort. Although occasional heartburn is normal, especially after a heavy meal, up to 40 million Americans suffer from severe and persistent symptoms of gastroesophageal reflex disease, or GERD. GERD is a painful and often serious disease in which the acid in your stomach flows back up into your esophagus and throat, causing a burning feeling in the middle of your chest. This is due to a weakened lower esophageal sphincter (LES), the one-way valve at the top of your stomach that normally helps keep food and fluids down. If gastroesophageal reflux disease is left untreated for a long period of time, the sensitive tissue in the esophagus can become inflamed, causing pain, pressure, and a burning sensation in the chest and throat. Extended exposure to stomach acid can cause sores, or ulcers, in the esophagus, which are very painful and can lead to esophageal bleeding. You may also develop scar tissue along the lining of your esophagus, which narrows the tube and makes it more difficult to swallow. Chronic irritation of the esophagus can lead to the growth of abnormal cells in the esophageal lining, a disorder known as Barrett's esophagus. GERD has also been linked to an increased risk of stomach and esophageal cancer. Lifestyle changes and medications can significantly reduce the severity of GERD symptoms. Because smoking, caffeine, alcohol, chocolate, peppermint, citrus, and fatty foods can all trigger gastroesophageal reflux disease, the first step is to avoid these agitators or eliminate them completely. Losing weight, eating smaller meals, eating more slowly, using a pillow to elevate your head while you sleep, and avoiding stooping or bending can all offer relief as well. Over-the-counter and prescription drugs such as Maalox®, Mylanta®, and TUMS® (antacids), Tagamet HB 200®, Pepcid® AC, Zantac® (H-2 receptor blockers) and Prilosec OTC (proton pump inhibitors) can all alleviate GERD symptoms. Your doctor may also recommend prescription-strength variants of these drugs, such as Prevacid® or Nexium®. If all of the above methods fail and your doctor has ruled out any other medical problems, you may be a candidate for laparoscopic fundoplication surgery for GERD. During this esophageal surgery, your doctor will wrap the upper-curve of your stomach around the outside of your esophagus to re-create the esophageal sphincter. Your existing lower esophageal sphincter (LES) is thus strengthened, helping to keep acid down and allowing the esophagus to recover from any inflammation it previously incurred. The surgery takes about two to four hours, and is performed using the laparoscopic technique. This allows for less pain, a shorter recovery period, and a lowered risk of infection. Achalasia is a rare esophageal condition that occurs when the lower esophageal sphincter is unable to relax and allow food to pass into the stomach. As a result, patients find it difficult to swallow food (dysphagia). Patients with achalasia sometimes describe a "sticking" feeling in their throat and may experience a heavy sensation in their chest. Achalasia can also cause food regurgitation. If the patient is asleep when this happens, it can cause snoring or even choking, and if the regurgitated food enters the lungs, it can cause pneumonia. Achalasia can be treated using oral medications, by dilating or stretching the esophagus, injecting muscle-relaxing medications such as botulinum toxin directly into the esophagus, or through surgery. The type of surgery used to treat achalasia is called esophagomyotomy, during which the esophageal sphincter is cut. This surgery can be performed laparoscopically , and usually requires one to two days in the hospital. Esophageal cancer occurs when the cells that comprise the esophageal wall begin to grow abnormally, often forming malignant tumors. Cancer can develop anywhere along the length of the esophagus, and can take different forms, such as squamous cell carcinoma, which develops in the flat cells that line the esophagus, and adenocarcinoma, which develops in glandular tissue. Esophageal cancer is among the most deadly of all cancers, and has been steadily increasing among Americans in recent decades. Researchers cite smoking, alcohol use, obesity, poor diet, and chronic acid reflux as risk factors for developing esophageal cancers. Continuing research is being performed to pinpoint which treatment methods work best. 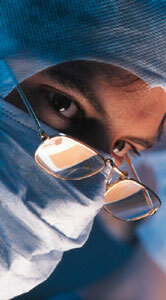 Currently, surgery is the most common treatment. Your surgeon will either perform an esophagectomy to remove a portion of the esophagus and surrounding lymph nodes, or an esophagogastrectomy to remove a portion of the esophagus, lymph nodes, and upper portion of the stomach. Radiation and chemotherapy may also be used alone or in conjunction with surgery to kill off cancer cells. Most patients leave the hospital after one to three days, and are able to return to work in one to two weeks. After surgery, your doctor will prescribe a liquid diet for a set amount of time, after which you can start eating soft foods. You will still need to chew slowly and thoroughly, avoid gulping, and avoid carbonated beverages for three to four weeks. Make sure to take it easy upon your return home, avoiding heavy lifting and vigorous exercise. Once you have fully recovered, you will be able to eat, exercise, and engage in all the activities you normally enjoy without the pain and inconvenience that your esophageal disorder once caused.